DAVIDSON, N.C. (August 29, 2018) – RACERSITES, a motorsports industry staple recognized the last two decades for building innovative website solutions, announced today it will rebrand to Digital Momentum. The rebrand marks strategic growth forward for the company, which is expanding its capabilities to include comprehensive digital marketing services, while continuing its expertise of creating and managing custom websites. Digital Momentum will specialize in inbound marketing and executing a wide range of services that includes digital marketing strategy development, SEO services, social media strategy, Email marketing and additional custom solutions. The core of Digital Momentum’s strategy will be focused on the inbound marketing methodology, anchored by HubSpot – inbound marketing and sales automation software that helps companies attract visitors, convert leads and close customers. Digital Momentum is a HubSpot Certified Agency Partner, a designation given to agencies that are dedicated to growing their business by providing exceptional inbound marketing and sales services. Throughout its 20-year history RACERSITES has created custom website management and marketing solutions for an expansive list of customers that span every corner of the motorsports industry – teams, drivers, sanctioning bodies, events, sponsors, suppliers and many others. The company’s current client roster includes Team Penske (INDYCAR, NASCAR, IMSA), Leavine Family Racing (NASCAR), Clint Bowyer, Denny Hamlin, the Trans Am racing series, BBS Wheels, Hoosier Racing Tire, PAC Racing Springs, the Detroit Belle Isle Grand Prix and many others. 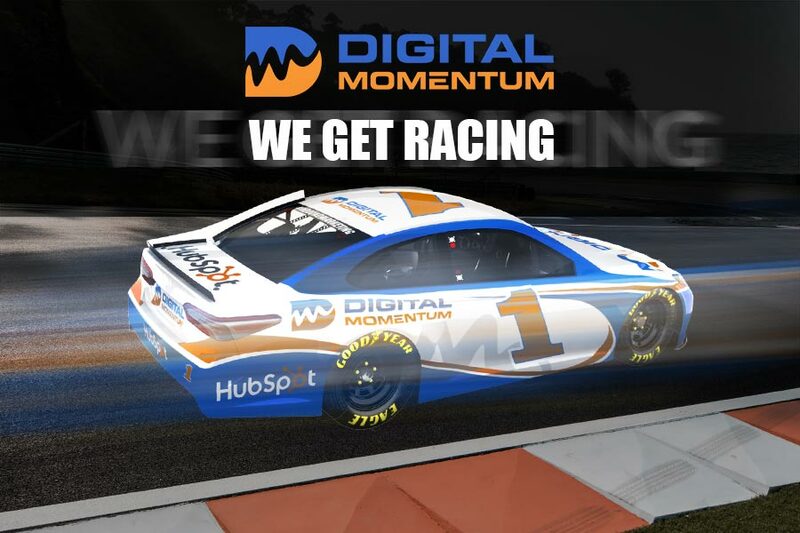 Digital Momentum, a HubSpot Certified Agency Partner, provides winning digital marketing solutions for the top brands in the racing industry. They do this by combining user-centric website design and development principles, with the inbound marketing methodology, to deliver marketing you can measure.